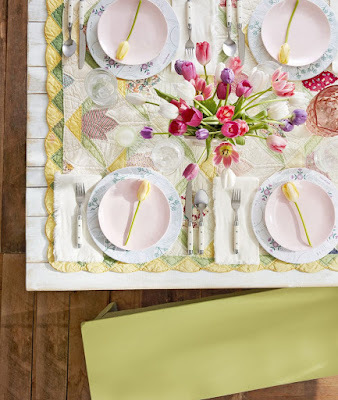 Magazine Rack ~ A bit of chalk paint turned this wooden organizer into a shabby-chic place for pans that's totally worthy of a spot on a countertop. 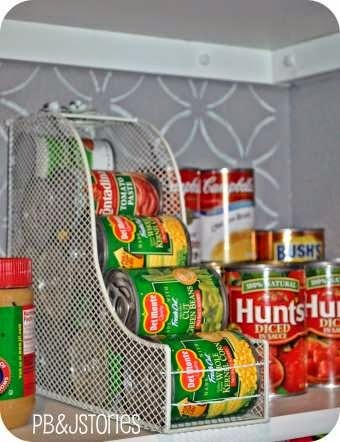 Magazine File ~ Flip this office staple on its side to create the perfect home for a stack of cans that would otherwise roll off your shelf. 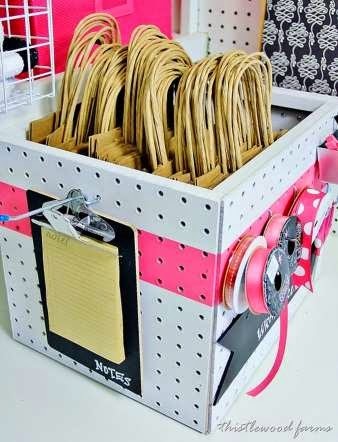 Pegboard ~ A flat pegboard is a versatile storage tool for many utility spaces (or cute craft rooms!). 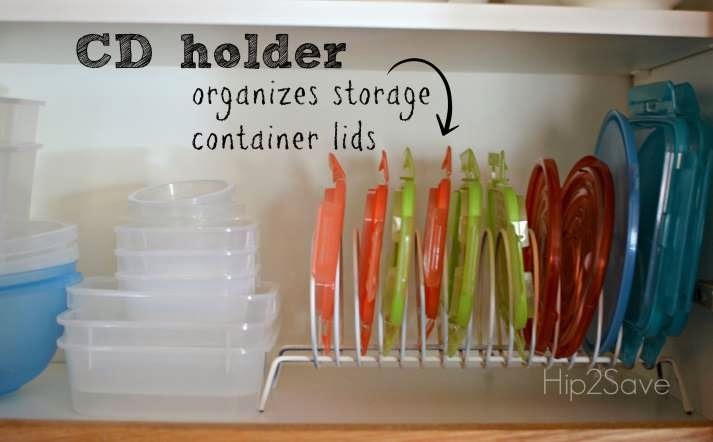 But up the organizational angle by morphing a board into a storage bin with spots for supplies both inside and out. 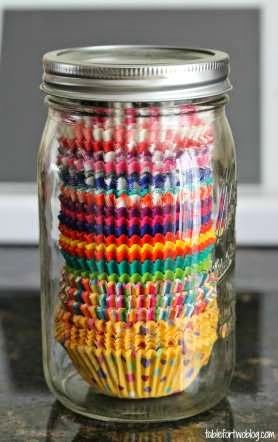 Mason Jar ~ If you use mason jars to store dry ingredients and other non-perishables in your pantry, keep the look uniform by filling a few more with stacks of baking supplies, like these perfectly sized cupcake liners. 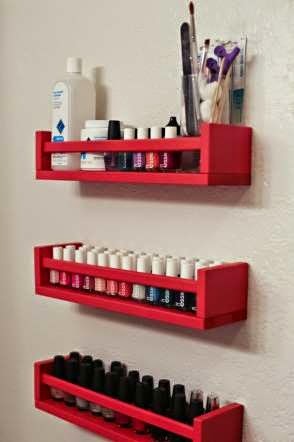 Spice Rack ~ Tell paprika and garlic powder to hit the road; these handy holders are great for keeping nail polish and other beauty supplies within easy reach in your bathroom. 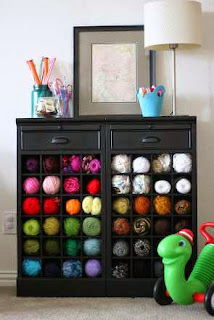 Wine Rack ~ If you're more likely to curl up with knitting needles than a glass of red, trade out bottles for colorful skeins with this cozy storage solution. You can also add this to the mud room for mittens, hats and gloves! 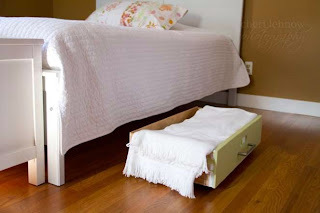 Dresser Drawer ~ Before you drag an old piece of furniture out to the curb, consider repurposing the drawers as under-the-bed bins (add wheels to make access even easier). 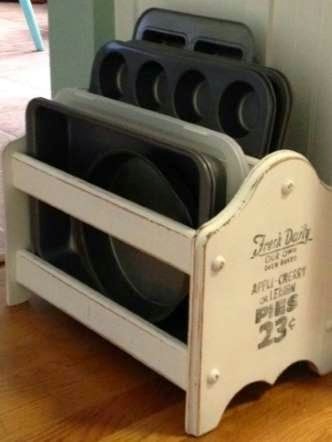 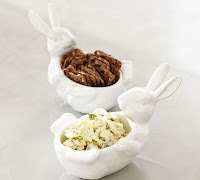 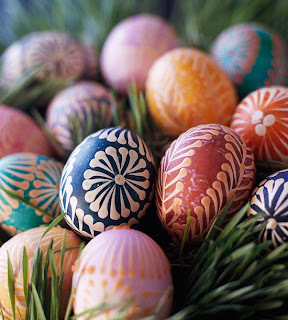 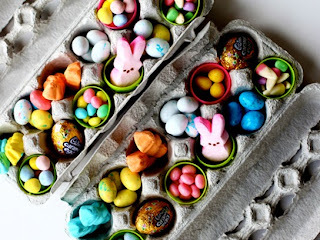 Bonus: They blend better with the room design than plastic boxes. 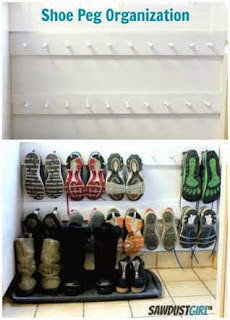 Coat Hooks ~ Drop a row of hooks down to the floor to finally clear your entryway of everyone's dirty sneakers.